Arab leaders have separately warned the Israeli government about growing Turkish influence and activity in East Jerusalem, Haaretz reported. Erdoğan’s expanding initiative is designed to “claim ownership over the Jerusalem issue”, senior Arab officials say, the Israeli newspaper reported. Over the past year, Jordan, Saudi Arabia and the Palestinian Authority have all warned Prime Minister Benjamin Netanyahu’s government about the campaign by Turkey to strengthen its influence in Arab neighbourhoods of the city. The issue is now receiving more attention, Haaretz said. Israel is 'sleeping at the wheel,' they say. 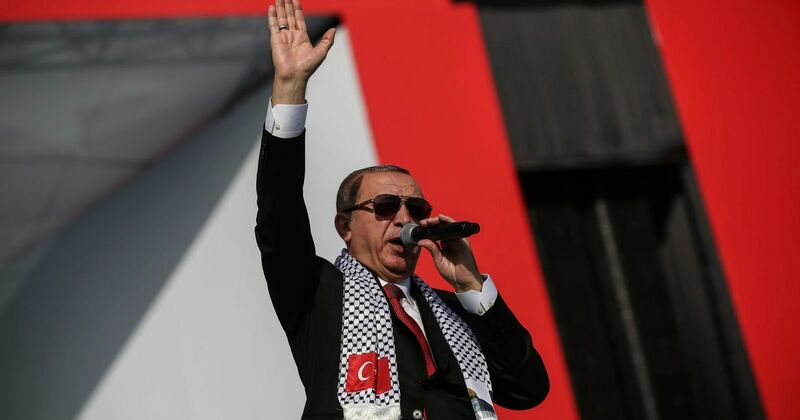 Turkey under Erdoğan enjoys close relations with Islamic group Hamas, which is recognised as a terrorist organisation by the United States and European Union. Erdoğan has also accused the Israeli government on numerous occassions of state-sponsored terrorism and led a Middle East initiative slamming a U.S. decision to move its embassy to Jerusalem. The Israeli security services have been monitoring Turkish activity for more than a year. Israeli sources said Turkey is increasing its presence in East Jerusalem in a number of ways, including donations to Islamic organisations, placing Turkish activists prominently in protests around the Temple Mount and organising tours by Islamist groups closely affiliated with Erdoğan’s governing Justice and Development Party (AKP) – which have brought thousands of Turkish citizens to Jerusalem over the past year – Haaretz said. Some U.S. senators have called on the Trump administration to act in the face of Erdoğan’s sponsorship of Hamas and his meddling in Palestinian-Israeli affairs. Several senior Hamas officials reside in Istanbul and operate freely there, including in raising funding for their activities inside Palestinian territories. Erdoğan’s initiative is part of a wider attempt to position himself as the leader of Muslims around the world and to extend Turkish influence across the Middle East and Balkans, where there is a large Muslim presence.